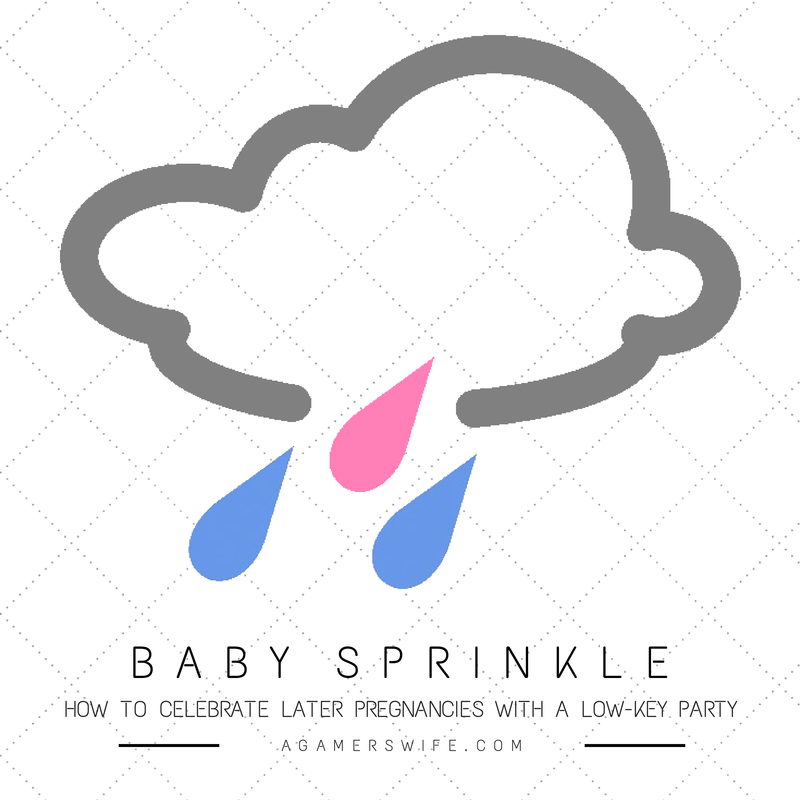 A baby sprinkle is this slightly new, slightly controversial concept of having a smaller party to celebrate second, third, and so on pregnancies (because a "sprinkle" is smaller than a "shower"). Some people think that it's wrong to hold more than one baby shower (especially if the children are close in age or the same gender) since gifts, decorations, and food can be so expensive. Others believe that every child is a blessing and therefore should be commemorated somehow. 1) No gifts. There would be no designated "time to open presents" at the party, especially since we already have a ton of hand-me-downs from friends for our baby girl. 2) Spare the expense. 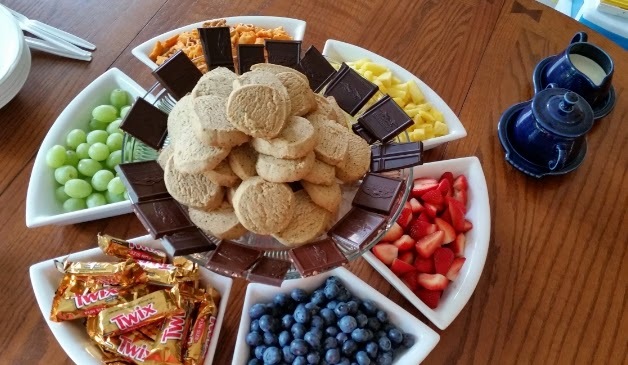 My friend ended up holding the little get-together at her house with no decorations (at my urging) and prepared an elegantly simple plate of fruit and snacks. 3) Skip the games. I have played the same baby shower games over and over again, like measure mama's belly size or guess that baby food flavor (eww). Instead, let's just hangout and do girly things like paint our nails, make virgin pina coladas, and try out DIY facials from Pinterest. In fact, some women will just invite their friends out to get lunch or pedicures together to celebrate the upcoming baby with no expectations. While others may hold a meet-and-greet BBQ at their house after the newborn arrives, and guests can bring diapers if they really want. What's your stance on baby sprinkles? Yay or nay? I didn't go out of my way to plan showers for #2 and #3, but people were very generous anyway. Where I am showers are generally thrown AFTER the baby is born so friends and family can meet the new little one. I had a shower with #2 and got all new little girl things since I had a boy first and then with #3 a group of friends chipped in and filled my freezer with healthy ready-to-heat meals from a local organic bakery. Best gift ever. That kept us going for a month and I didn't have to cook! A close second in Best Baby Gift ever was the biweekly cleaning lady my MIL paid for. She kept that up for several years!